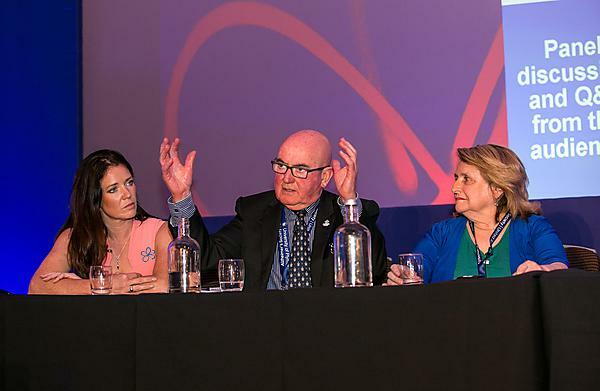 Ian Sherriff, Academic Partnership Lead for Dementia at the University of Plymouth and Chair of the Prime Minister’s Rural Dementia Friendly Task and Finish Group, was one of the leading figures in dementia who formed the experts panel at the biggest-ever conference held by the Alzheimer’s Society in London recently. The panel, which was chaired by journalist and presenter Bill Turnbull, also included Professor Bart De Strooper (Director of the UK Dementia Research Institute), Professor Sir Malcolm Grant (Chairman of NHS England), Shelagh Robinson (Living with Dementia) and Kathryn Smith (Director of Operations at the Alzheimer’s Society). The audience of over 300 was made up of leading influencers in health and social care, members of the Dementia Friendly Communities Programme, the Prime Minister’s Task and Finish Group, representatives from central and local government, the NHS, third sector organisations and Alzheimer’s Society-funded research network volunteers, researchers and staff. The topics covered by Ian included loneliness, isolation, lack of transport, poverty and fuel poverty, inability to access health and social care and inadequate living conditions. Ian was applauded by the audience several times for his responses to these issues and he gave examples of good practice and guidance.